Established with SFC funding in 2005, Scottish Carbon Capture & Storage (SCCS) is a research and knowledge exchange partnership between Heriot-Watt University, the University of Aberdeen, the University of Edinburgh, the University of Strathclyde, and the British Geological Survey. SCCS also works to develop research and teaching, with engagement at St Andrews, Glasgow, Robert Gordon and other universities across Scotland. Carbon capture, usage and storage (CCUS) is a group of technologies that capture carbon dioxide (CO2) emissions at source to prevent them being vented to the atmosphere and escalating climate change. CCUS can decarbonise the power, industry, heat and transport sectors, which account for 83% of the UK’s greenhouse gas emissions. SCCS brings together world-leading CCUS expertise and facilities, and builds partnerships with industry and government to support the development of CCUS in the UK and internationally. SCCS assisted in bringing Scottish experts to the EU funded ACT Acorn Project. Led by energy consultants Pale Blue DotEnergy, the Acorn project is working to develop the UK’s first operational carbon capture and storage (CCS) project at the St Fergus Gas Terminal in Aberdeenshire. The project has received funding from the Scottish Government, UK Government, and the European Union. The project will see existing terminal infrastructure re-purposed to capture around 200,000 tonnes of CO2 per year initially, which will then be transported for storage in depleted North Sea gas fields, using re-conditioned existing pipelines. 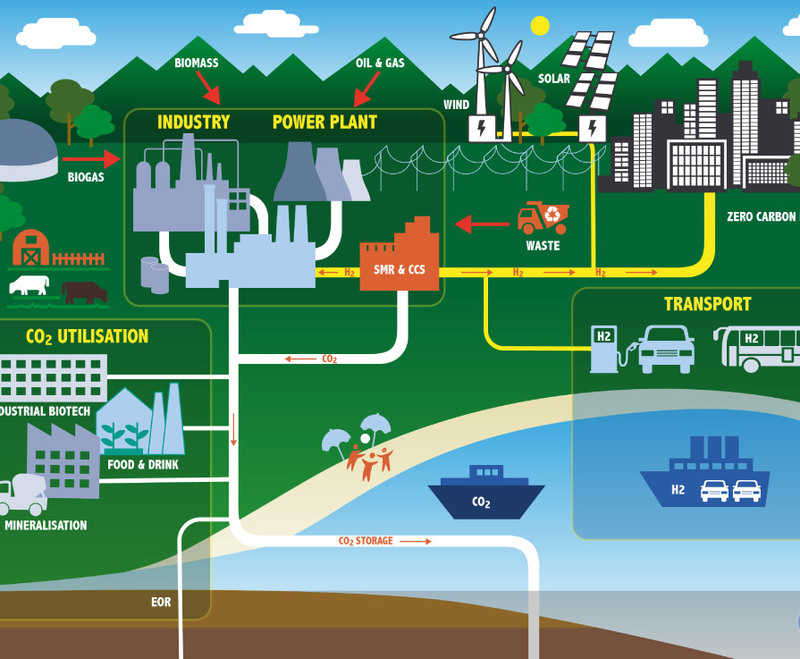 Scientists from Heriot-Watt University, the University of Edinburgh, and the University of Aberdeen worked with other experts in the UK, the Netherlands and Norway to model CO2 storage characteristics, while Robert Gordon University researched public perception around the project and the role of CCUS. SCCS has also advocated for the role of CCUS as a recognised technology in the decarbonisation of Scotland’s energy system within the Scottish Government’s work to establish a Just Transition Commission. “The Scottish Government has been consistent in our strong commitment to the development and implementation of CCUS technologies, as indicated by our providing funding to Pale Blue Dot Energy’s Acorn CCS Project at St Fergus, and to Scottish Carbon Capture and Storage. The Intergovernmental Panel on Climate Change and the International Energy Agency have both indicated that developing CCS technology will be critical to keeping global temperature increases to 2 degrees Celsius or less. I therefore welcome the opportunity to continue this commitment via the joint funding announced today. We will continue to promote Scottish CCS and CCUS opportunities and capitalise on future funding to ensure Scotland remains at the forefront of the technology’s development. CCUS is one of six priorities in the Scottish Government’s Energy Strategy and is also a key policy of the UK Department for Business, Energy & Industrial Strategy’s Clean Growth Strategy. The Clean Growth Strategy states that it is a reaffirmation of the UK Government’s commitment to deploying CCUS at scale in the UK in the 2030s, subject to cost reduction. The UK CCS Storage Appraisal has found the UK’s offshore geological storage potential at over 78 gigatonnes of CO2 (the equivalent of over 200 years of the UK’s 2017 CO2 emissions). One tonne of CO2 gas fills roughly the same space as a small house. Globally, power and industry account for about 50% of all greenhouse gas (GHG) emissions. While Scotland’s electricity system is expected to be largely decarbonised by the 2030s, the Scottish Government’s Climate Change Plan recognises CCS “as the only viable technology capable of mitigating industrial scale CO2 emissions in some of the world’s most carbon intensive industrial processes".